Self-driving cars aren’t a thing of the future anymore, and could be happening on Tennessee roads by as early as next year. An act to amend the Tennessee Code is being pushed through the legislature by Sen. Mark Green, R-Clarksville, and it’s one that would allow the use of autonomous vehicles, or AVs, in the state. AVs are capable of sensing the environment and navigating without constant human input. They use radar, GPS and computer vision to follow routes and avoid collisions. Heading up research for the legislation is local entrepreneur Mark Cleveland. Cleveland is developing a hotel concept, The One Nashville, where he hopes to create an automated hospitality experience at a low cost for visitors to Nashville. Wanting to deploy a valet service using AVs to transport guests to and from off site parking without a driver, he saw the need for legislation in the state to allow AVs and has since worked with Green to get the legislation, while was filed last Monday, passed. Federally, the U.S. Department of Transportation is seeking to clear the hurdles against AVs. Last week U.S. Transportation Secretary Anthony Foxx announced in Detroit that President Barack Obama has a fiscal year 2017 budget proposal of nearly $4 billion for automated vehicles, as well as DOT initiatives to accelerate vehicle safety innovations. “We are on the cusp of a new era in automotive technology with enormous potential to save lives, reduce greenhouse gas emissions and transform mobility for the American people,” Foxx said in a statement. The $3.9 billion budget proposal would provide for 10 years of pilot programs to test connected vehicle systems in designated corridors throughout the country, and work with industry leaders to ensure a common multi-state framework for connected and autonomous vehicles. Foxx also unveiled policy guidelines that updates the National Highway Traffic Safety Administration’s 2013 preliminary policy statement on AVs. The new guidance updates that policy to reflect that widespread deployment of fully autonomous vehicles is now a feasible reality. The guidance also governs how components of the car must work, like steering wheels and brake pedals, which aren’t used in prototype cars that are currently being developed by Google. Google’s prototype is being designed to navigate safely through city streets, with sensors designed to detect objects as far as two football fields away in all directions, including pedestrians, cyclists and vehicles. Google claims that it even can detect fluttering plastic shopping bags and rogue birds. The prototype processes both map and sensor information to determine where it is in the world. It knows what street it’s on and which lane it’s in. The software classifies objects based on size, shape and movement pattern. The software then chooses a safe speed and trajectory for the car. The Google prototype is currently being tested in Mountain View, California and Austin, Texas. Even with federal action in place, each state still has to legalize the use of AVs on their roads for it to become a reality. The legislation was passed on second consideration last week by the Senate Transportation and Safety Committee. 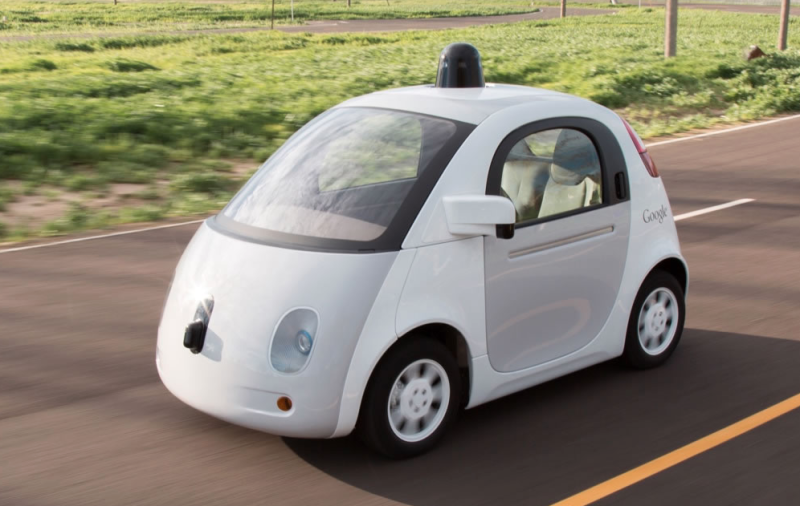 If it passes through, Tennessee could see self-driving cars on the road by January 2017. Check back with BHP as this story develops. Samantha Hearn reports for Home Page Media Group. She can be reached via email at samantha@brentwoodhomepage.com or on Twitter @samanthahearn.